If you want to make your children happy, surprise them with this great children’s wall decal! 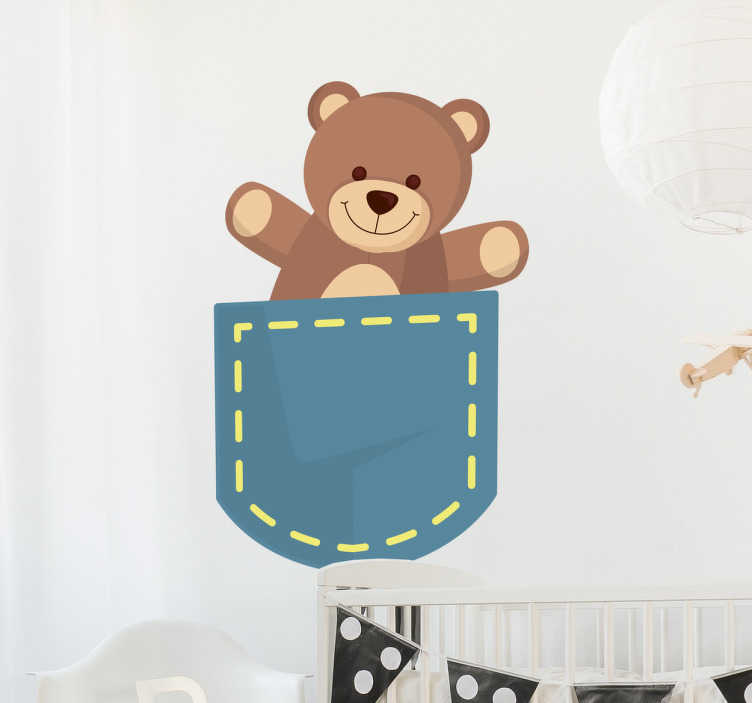 The kid’s wall sticker consists of a cute teddy bear sitting in a pocket. The adhesive film is especially suitable as a wall decoration in the children’s room and ensures a friendly and playful ambience. Like all our stickers, this design is available in many different sizes.